BAKHTIYOR ISABEK:There is not political environment in Uzbekistan for opposition. There is not political environment in Uzbekistan for opposition. Bakhtiyor Isabek was born in 1945 in Sulton Rabot village of South Kazakhstan oblast of the Republic of Kazakhstan. In 1961-1966 studied at the Tashkent State Teachers’ Training Institute named after Nizami (currently Teachers Trailing University) and graduated from the faculty of history-philology. In 1966 he started his first employment as a laboratory worker at the Academy of Sciences of Uzbekistan. In 1968-1993 he worked as a teacher and docent at former Tashkent State University (currently National University of Uzbekistan). Together with work at the University, Bakhtiyor Isabek was always busy with scientific work and wrote fiction. The textbook “Introduction into Turkic Philology”, published in 1984 was his first work written jointly with Iristoy Qo’chqortoev. 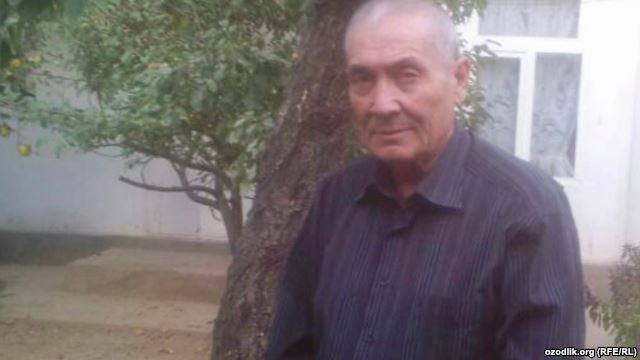 In 1995 Bakhtiyor published his book “Sayram”, and in 2006 he published the textbook “The Uzbek language”, intended for Form 10 of secondary schools. In 2013 he published his book “Sultan Rabot”, and in 2015 – “An introduction into Turkology”. In addition, Bakhtiyor is the author of the forward part of the book “Genealogy of Yassavy and Amir Timur”. To-date the scholar has published 5 scientific works, over 200 articles. In addition, Bakhtiyor translated Fuod Ko’prul’s book of “First tasavvuf writers in Turkish fiction”, Lev Gumilev’s “Ancient Turks” into Uzbek. Bakhtiyor Isabek is a founder of “Birlik” People’s Movement and “Erk” Party. He was fired from his work for his political activities. He was refused to get any work from 1993 until he went on pension. Bakhtiyor Isabek is laureate of Mahmud Qoshqary International Award. Taking into consideration these factors, we would like to undertake a monitoring among wide social layers and search the ways of prevention of such conflicts. We are aware, that such activities require funding. And lack of funds has always been a barrier to success of our work. Therefore, we have approached the “Assistance centre” and we saw that the people at this centre are really adhering to the objectives of the group. The national groups who have been formed as Uzbeks (Turkic) outside the modern territory of Uzbekistan have commonality of such social events, like history, culture, economy, life style, ethnography, and language, which determine to belong to a nationality. While we lived in the Soviet oppression era, aboriginal Uzbeks lived in three countries: The Soviet Union, Afghanistan, and China, after gaining independence, together with the above countries, Uzbeks found themselves citizens of young countries like Tajikistan, Turkmenistan, Kyrgyzstan and Kazakhstan. This today aboriginal Uzbeks live in seven countries. Unfortunately, the governments and a most population of these countries are not treating Uzbeks as aboriginal people of their countries. Examples to this are the bloodshed events in Osh, O’zgan and Jalalabad in Kyrgyzstan and Qarabulak conflict events between Kazakh and Uzbeks in 2015 in Sayram district of South Kazakhstan oblast. * — * I cannot deny the fact that everybody has his own view about this. But as a citizen, who lives in this country, who breathes the air of this environment, I would like to note that there really is some opposition in Uzbekistan, who are against the activities and policy of today’s government in Uzbekistan. Although they managed to stop the activities of opposition back in 1993, irrespective of the difficulties, during the initial years of independence, the opposition members worked productively in country. The pressure against the opposition members especially aggravated in 2005, after the Andijan massacre events and this process is still on-going. As a result of this, the representatives of opposition found themselves in heavy vice. They had to face unemployment, prohibitions and pursuit. In short terms, these people, who fought for their nation and motherland were left defenceless. The endeavours of “The Assistance centre” deserve much praise and example in helping the representatives of opposition within their possibilities. So, the mere fact of readiness of “the Assistance centre” to help the opposition means the existence of opposition in Uzbekistan. On the basis of this, I repeat once again: Opposition does exist in Uzbekistan, but there is not political environment for oppositionists. I am sorry to say this, but this is the truth we have! There should be overall conditions for the opposition to carry out their activities. Unfortunately, this cannot be established in our country. Opposition people are even classified as “enemies of the nation” or “traitors”. With regard to your question whether the representatives of opposition have any need for help. Assistance is definitely required. If they are left without protection, within the next 1-2 years, we will have no opposition representative left in the country. This will mean the current government continue running their activities with more freedom. I am telling you this as a man who currently lives in the country. It is however quite clear that without assistance no political organisations, or human rights activist organisations can continue their activities. I believe that such assistance will possibly lead to return of our opposition activists, who live abroad to Uzbekistan.